Custom Framing and Design is so much more than tossing a mat on an image and putting together 4 sticks of wood! The ultimate goal in custom framing is for all the elements involved in the design to enhance your art using a balance of colors, textures, and styles to fit YOUR personality – and enjoyment! What makes you different from the other framers? Custom Picture Framing isn’t just a “job” or “just a service” I provide, it is my passion. 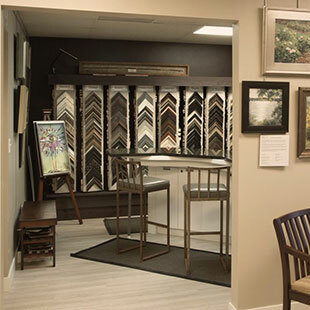 As the Owner of Framing Solutions, and your Designer, I am passionate about not only providing you with a cost competitive great design, but also creating an atmosphere for you to enjoy the experience! Unlike big boxes with their questionable discounts (I started at a big box so I know to question their “sales”), I have spent years studying, creating 1000’s of diverse designs, handling, and becoming a great craftsman to be an expert. We properly handle and care for your art item, no matter its makeup. Throughout my many years in the framing industry, I have developed great relationships with numerous industry leaders across the country in conservation, restoration, and special needs framing. If I have questions – I KNOW who to call for mentorship! I want you to love your complete framing experience with Framing Solutions that you will return again, and again – and refer your friends and loved ones to me. And finally, I back this up with a great guarantee on design, materials, and craftsmanship. How much time does it take for the design process? In today’s busy world, we so respect YOUR time that we encourage and welcome appointments. Most designs are completed within about 30 minutes. Some designs that may take longer include multiple projects, shadowboxes, complex designs, multiple openings, and 3D art. We get to final designs timely by offering choices “that work.” As experienced designers we know what’s available in our vast selection of possibilities. If you are on time limit, drop off your art and set up return time. We’ll pre-design some selections and present them for your approval. Yes, we are skilled at conservation and museum level framing. Through ongoing trade publications, educational workshop opportunities, and online resources, we stay current with any industry changes in custom framing procedures. We offer a selection of top quality rag mats, UV protecting glazing, and Acid Free “do not harm” mounting options which conform to all current recommended handling and procedures. Yes, we offer pick-up, delivery, and installation services for both home and businesses. Call us to coordinate these arrangements. 952-456-6477. We are very competitively priced in this market. When one compares custom picture framing to other home décor items you select for your personal living space, custom picture framing is similarly priced. Pricing for any custom framed project depends on size, details selected for the design, and any additional services appropriate for your art piece – and almost every budget can be met. When we provide you with your final price, know that it includes all the materials, time and labor, additional specialty items (name plates or a mirror for example) necessary to complete your project. In addition, we will happily compare our pricing (for like designs and materials) when you bring in a quote. How long does it take to something framed? Most art projects are completed in 7-10 business days. More complex designs, special order mouldings from outstate providers, or subcontracted work (name plates, special acrylic cases, etc.) affect turn times. Rush service is available. We also can handle 24-48 hour service for memorial presentations. Be sure to inform us if you need a quick turn. What’s involved in Custom Framing? First, we make you feel comfortable. Have fun! Designing is a collaborative effort between you and a designer to meet your needs and expectations for your art. Every option begins getting to understand your tastes and style, location for display, and any other requirements you might have. Once your wishes are understood, the process of design can begin. We are in this together. We want you to love the final design – and the process! There are so many frame options - how do I choose? Like walking into a shoe store, many of the shoes aren’t your style, color, or shape for your personal tastes. In custom picture framing, a large assortment of mouldings options are needed for all the varieties of art that we custom frame. As an experienced designer, we will analyze your art project and narrow the choices for you. A wood frame (not the “look like deceptive plastic frames”), provide long term strength and structure to a design. Stacking frames allow for further distinctive looks for a one-of-a-kind fresh look just for your art. Today there are mats which fit every purpose – and budget. Mats have several purposes in the design process. 1) Mats assist in the coordination between the art and your other home décor items. 2) They help enhance your art by providing color, depth, and create a breathing space between the image and the frame. 3) Mats also protect the arts surface from touching the glazing. At Framing Solutions, we use mats that also help maintain a neutral PH “package” which helps preserve your art. Does the mat have to be a certain width? NO! Mat widths in a design are determined by number of factors. Generally, there is a visual balance sought between the graphic strength of your image, the frame width, and the overall impact of the final components when grouped together. If the mat is too small, it may diminish the art, and it is too large it may overwhelm the art. As your designer, we welcome any questions or concerns you may have when presenting a certain mat width or any other element suggested in the design selection process. Why are there so many glass options? Glass, or glazing, is critical to the framing package. But, all glazing is not created equal and therefore, there are about 15 different options today. Like sunscreen lotions for your skin, there are differ levels of UV glazing options for your art. The best glass, or acrylic, has at least a 98% UV protecting coating which retards fading from harmful rays. There are also options for ‘anti-glare’ to minimize the reflections for your viewing enjoyment. If you have highly valuable art, hang art in a damage prone area (can you say a pool table? ), have safety concerns (children’s room), or the art would be shipped, acrylic glazing is the preferred options. As your design consultants, we will recommend options appropriate for your art…and budget. Is this ‘art’ worth framing? If you want to look at it, enjoy, it, talk about it, enhance it, laugh at it, or remember someone…its worth having it professionally framed. It doesn’t matter if it’s a Picasso, a collector’s card collection, a military remembrance, or a child’s finger painted paper from pre-school! Proper framing allows your special item to be enjoyed for years and not stored under the bed. Note: if your image to be framed is in a tube, bring it in and let us take it out to prevent any damage in transport. Options in frame selections, mat colors, or mounting methods, offer you the opportunity to customize for any décor, style, mood, color, or personality. A good frame design will enhance the art first, the room and décor 2nd – so if you relocate it a few years later, the art still looks great even if the décor changes. 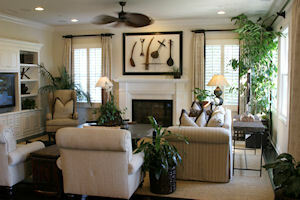 We welcome paint chips, fabric swatches, or room pictures to assist in the design concept. That said, if you remodel your room/home, a favorite framed art piece may also need “updated.” If you love the “item”, it can be “refreshed” verses being removed to a storage area. Why add “fillets” (Fil-let) or other “stuff” to the design? A fillet is a small wood detail used to enhance a design and “separate things”. Other “enhancement” details might include an 2nd or 3rd mat, additional opening or special cuts, French lines, specialty fabrics or textured mats, painted bevels, raised mats, or a number of other selections. Details personalize and add to the final design. Take your completed project from ordinary (I say think of a canned hotel framing job look!) to spectacular! Enjoy personalizing your art and enjoy the “wow” factor details create! Preservation? Conservation? What’s that all about? Many factors need to be considered when framing your art. To maintain as close to original condition as possible, all framing elements from the frame, mats, glass, and mounting, need to work together to properly protect your art. When designing for your art, we also take into consideration the location where it will hang, moisture conditions, lighting, and longevity (decorative wall décor vs. heirloom for example). If you consider an item worth framing, the experience of a quality framer/designer will guide you easily through the selection process for the best options for your art and style. Experience in handling all art forms count in professional custom framing. Mounting is the procedural step in framing that secures your art “magically” to hang vertically inside the framing to be stable when on a wall. Custom Framers can mount a wide range of items from textiles to antiques, papers to artifacts. Mounting procedures may be need to be permanent or reversable depending on the needs of your item. Every type of art has its own recommended mounting proceedure from stiching to dry mounting, or using different non-adhesive options. Over the years, numerous methods have been developed , or improved upon, to mount itemj to be framed. Like any profession, keeping up with on-going education provided from professional trade organizingations, industry publications, and workshops is necessary. We, at Framing Solutions, consider education as a prioity so we continue to offer you the correct mouning procedures for your art. What’s the best way of hanging my art? Today, wire is still the most used option for hanging art on your wall. But, there are other options that are equally benefitual to use – or in some cases much easier. Wall Buddies, security hangers, Z-bars, are just a few of the other options available today. Depending in the frame selection, weight, size, location, or a number of other variables, we might use a ‘non-wire’ option for your installation. Can you print an image I found on the internet? We do offer restoration of your images or documents, and we can print (and frame) them too. In addition, we are associated with several conservation centers, such as the Midwest Conservation Center in Minneapolis or other individual specialized conservators, when needed. Obviously, we cannot know what needs done without reviewing the item. Come in and we can evaluate the item and advise you accordingly. Can I order online from Framing Solutions? Coming soon – go to our APP under our online services on our website! If you have any other questions- please contact us! See you at Framing Solutions design counter!